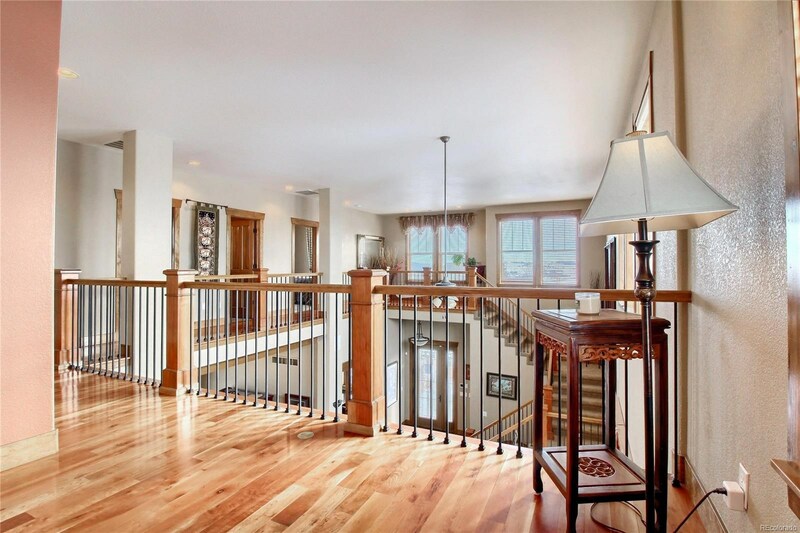 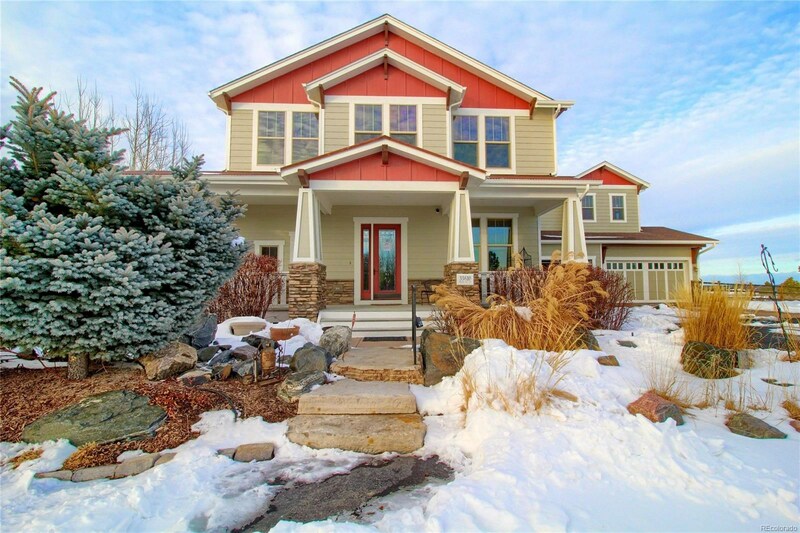 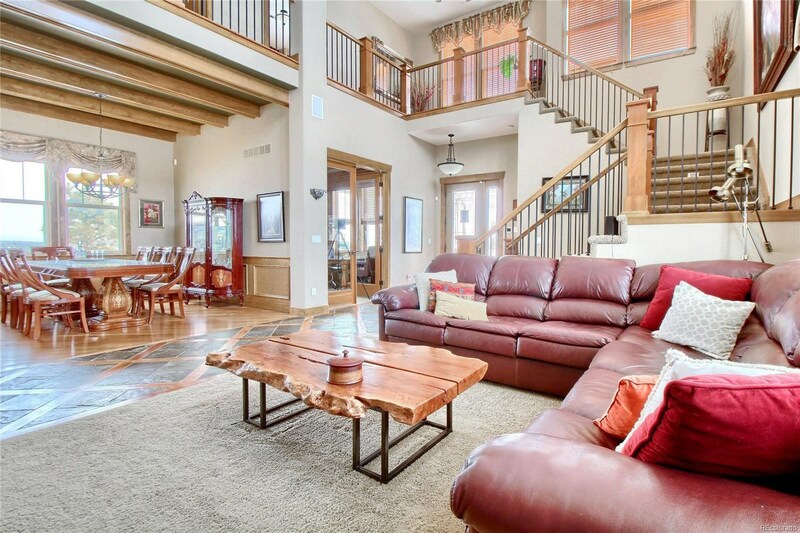 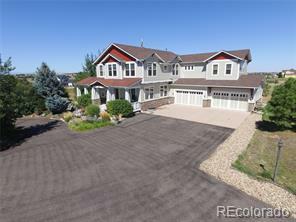 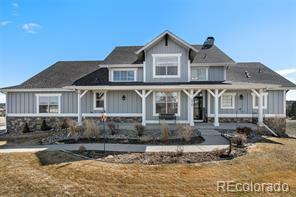 Spectacular custom former model home loaded w/upgrades. 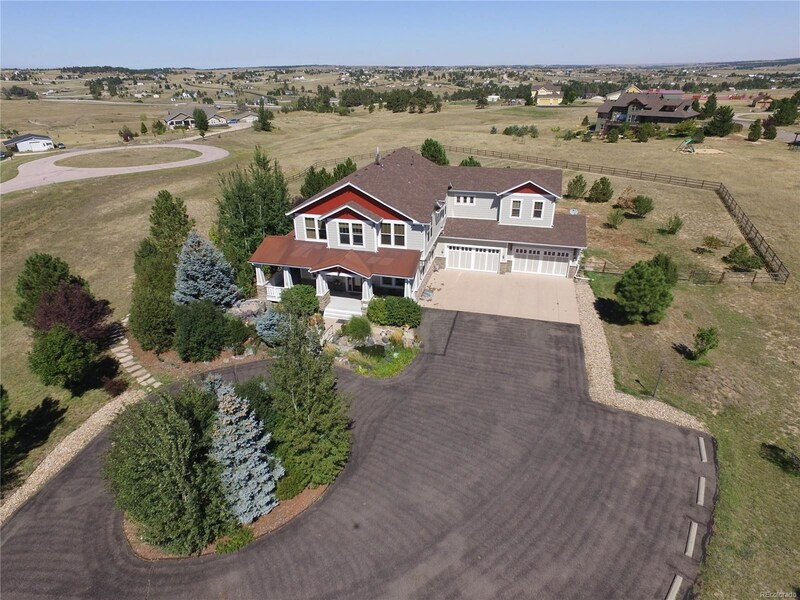 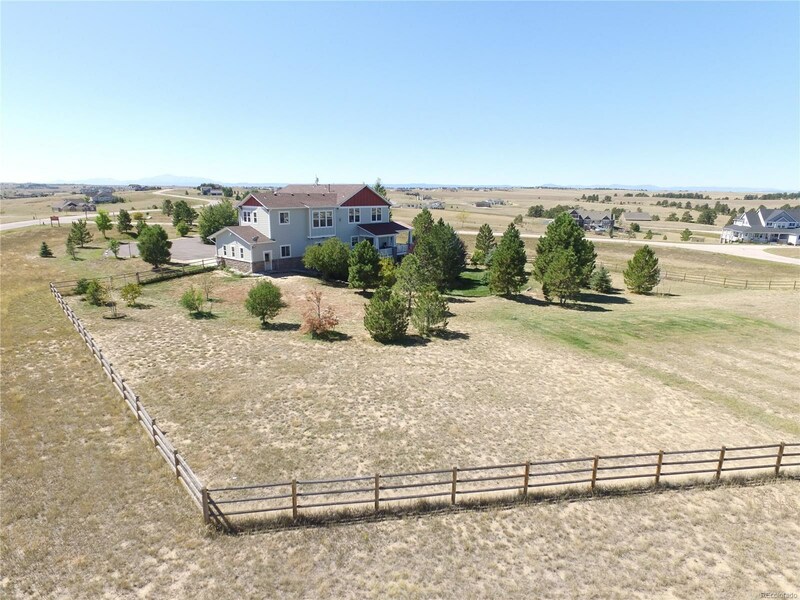 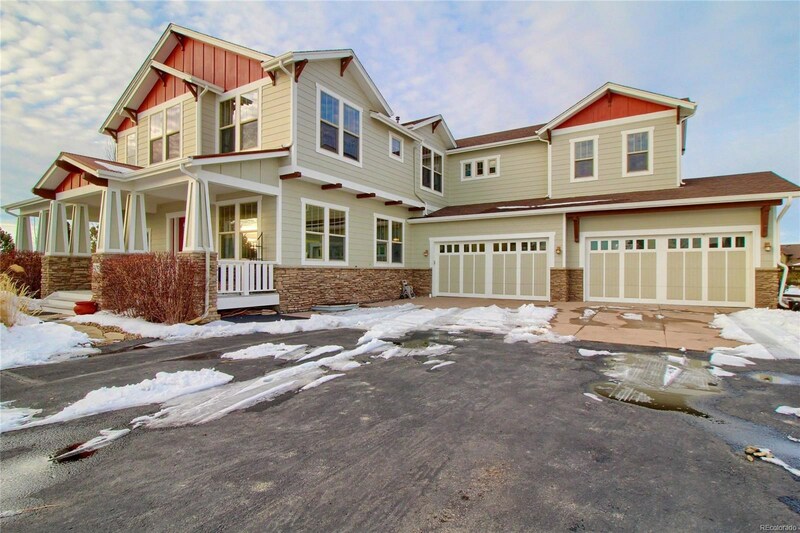 Panoramic views of Pikes Peak to Longs Peak from one of the highest lots in development. 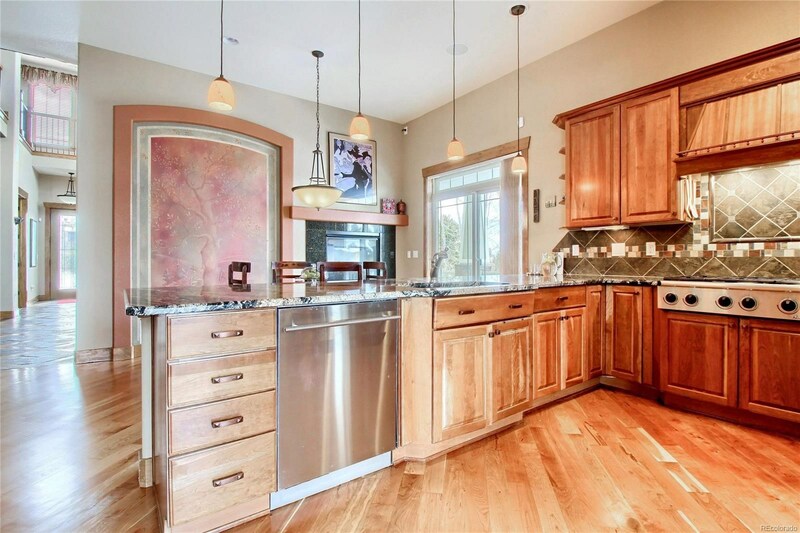 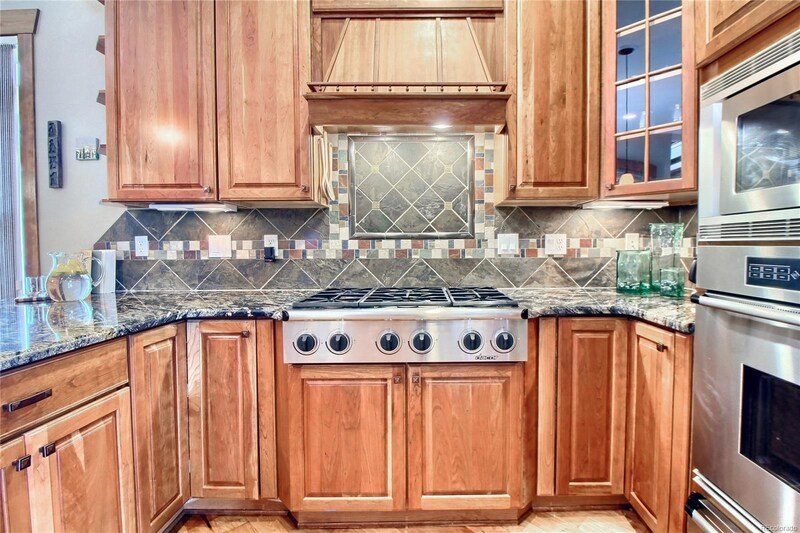 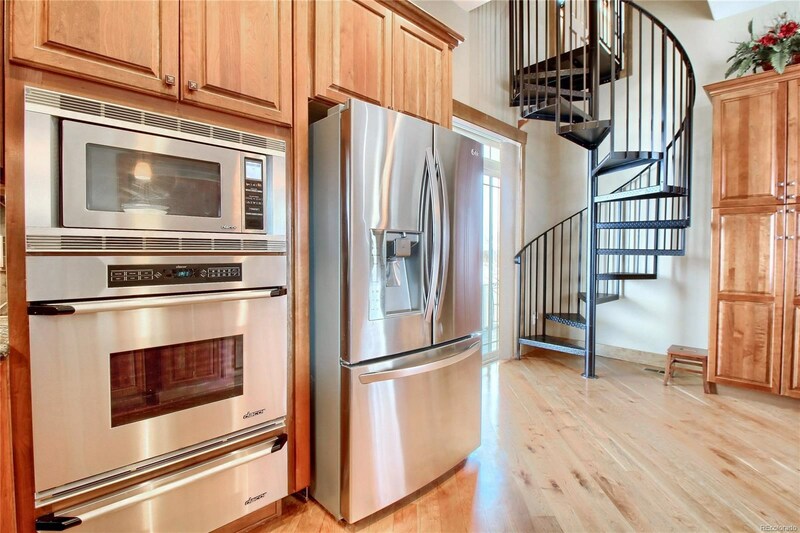 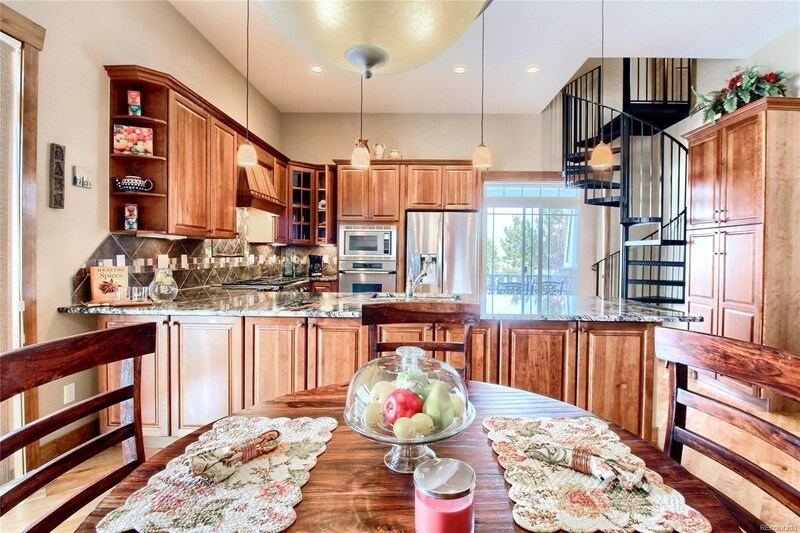 Gourmet kitchen features “Dacor “appliances, cherry cabinets and exotic granite. 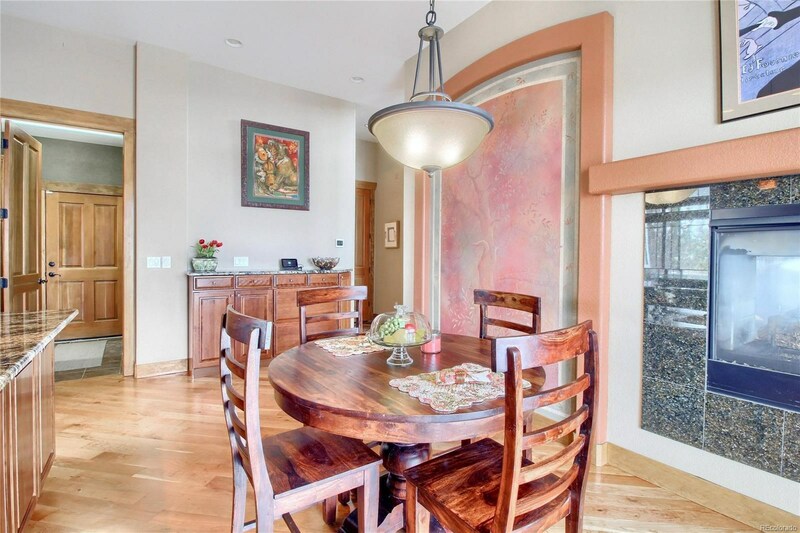 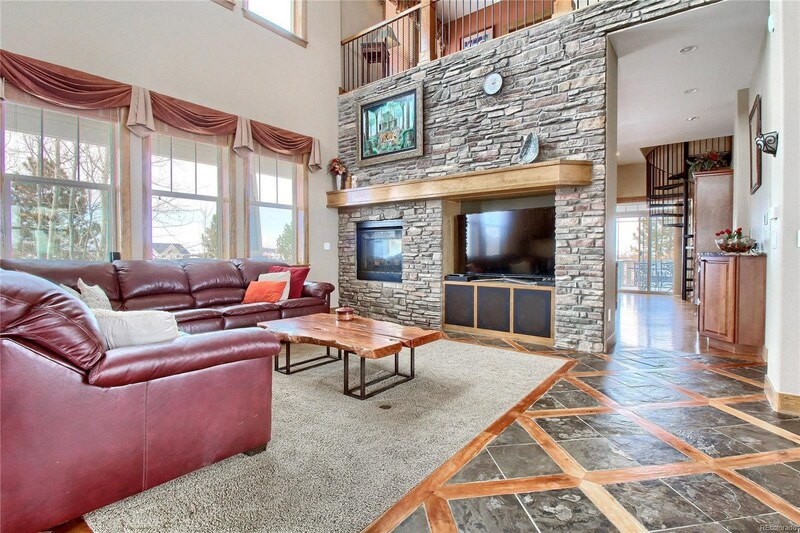 Newly refinished cherry and stone floors., beautiful solid four panel doors and wood trim throughout., double sided fireplace in family room/kitchen and another in master. 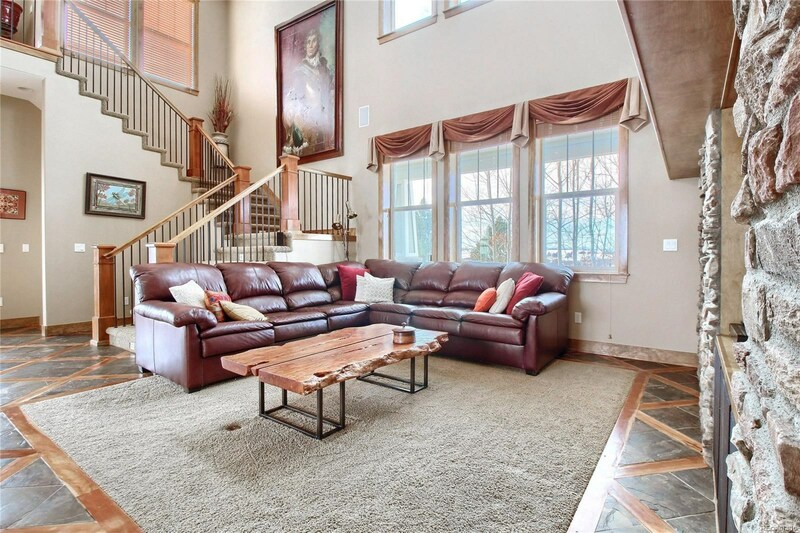 11' ceilings in vaulted family room. 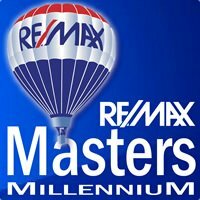 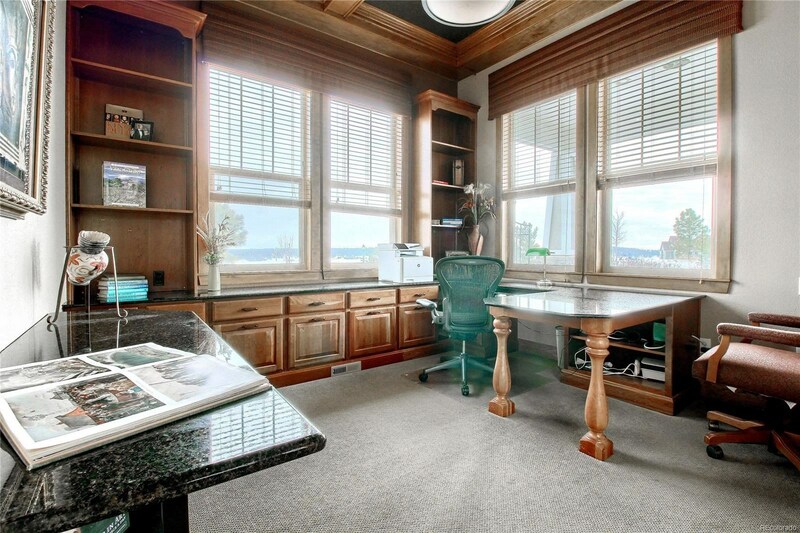 Main floor office has professional built-ins., huge master w/6pc. 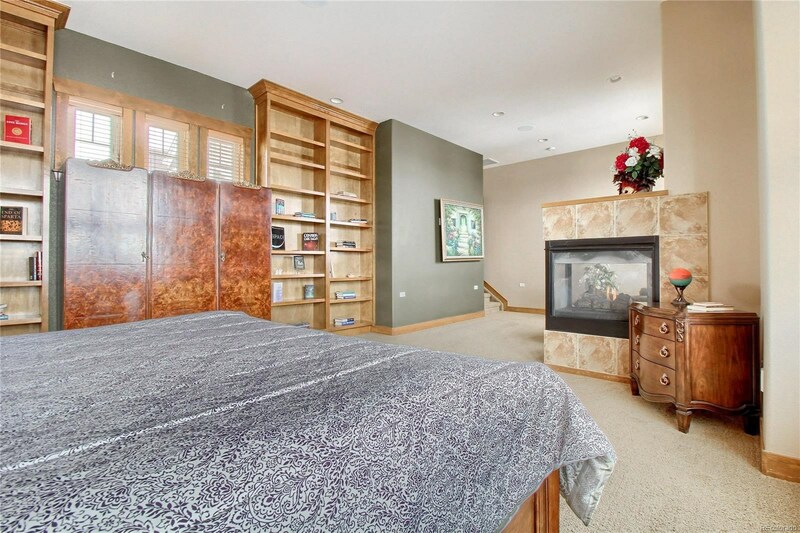 bath, floor to ceiling bookcases and sitting area. 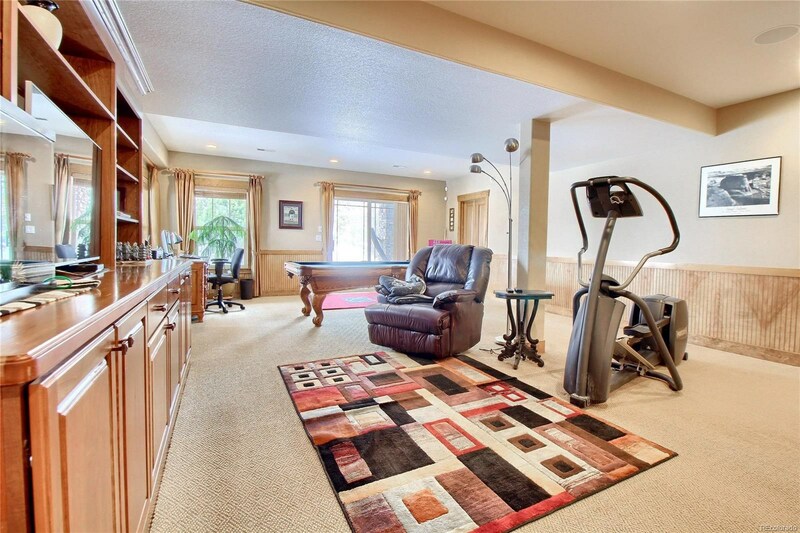 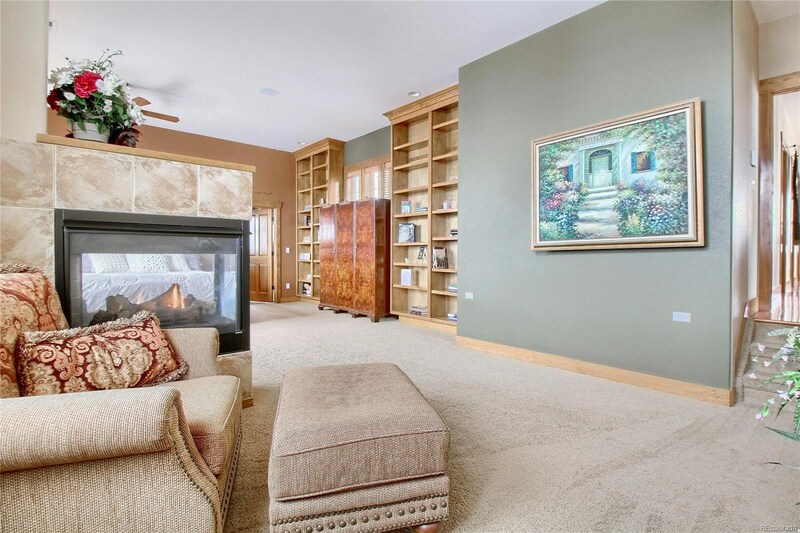 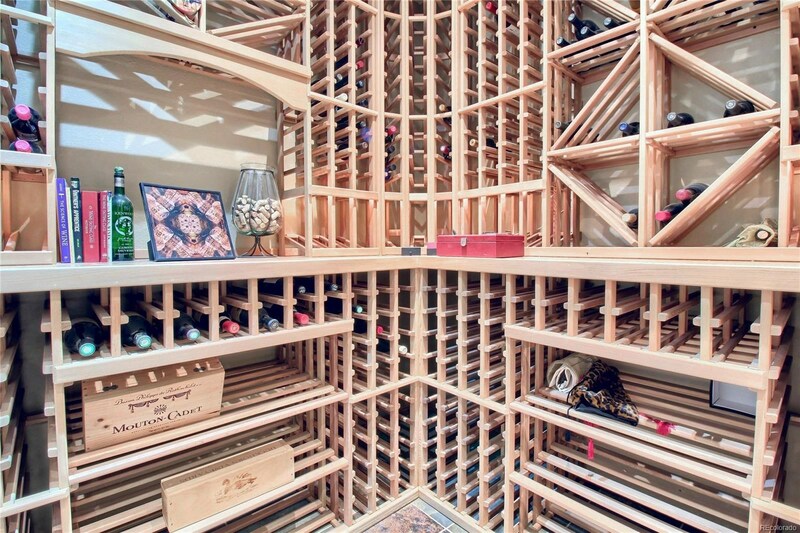 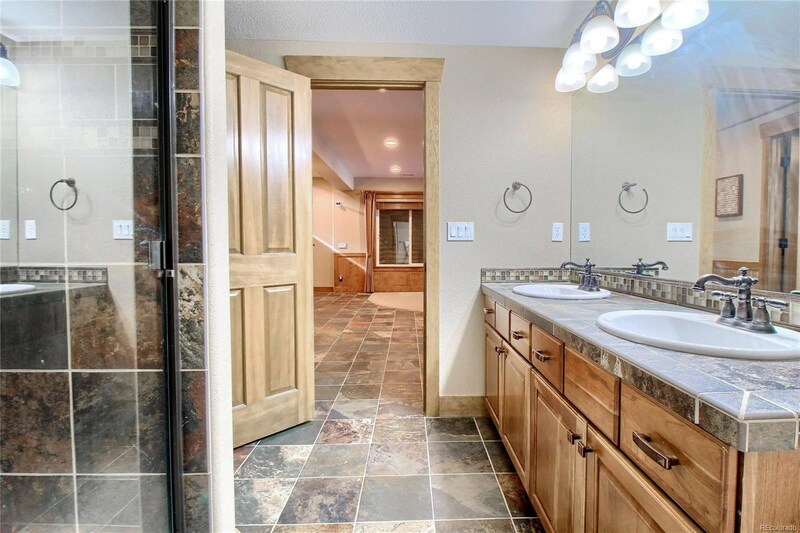 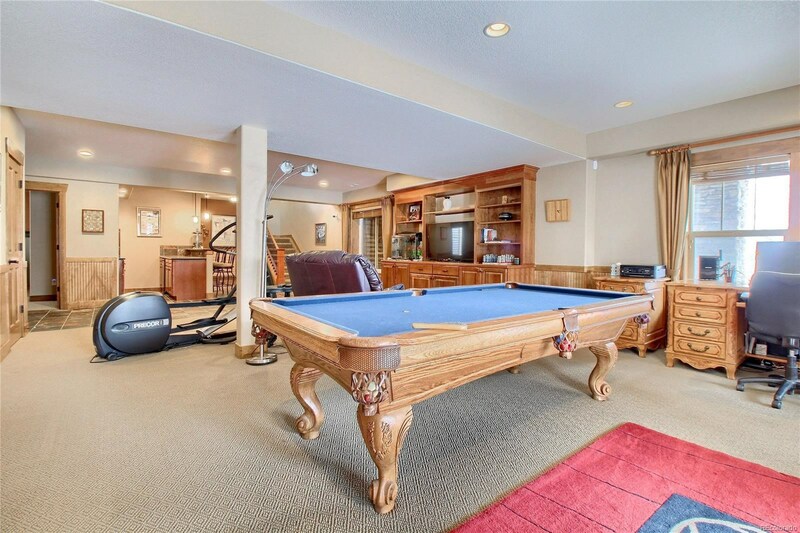 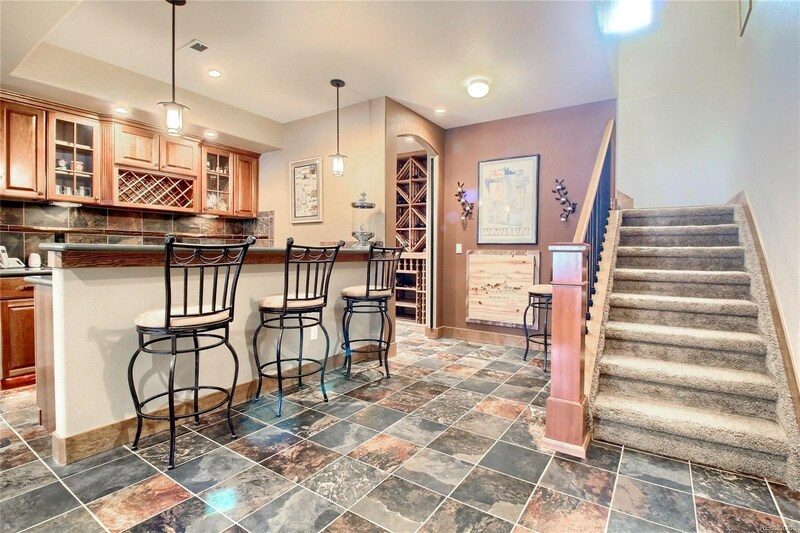 Professional finished walkout basement with entertainment area, wet bar and wine cellar. 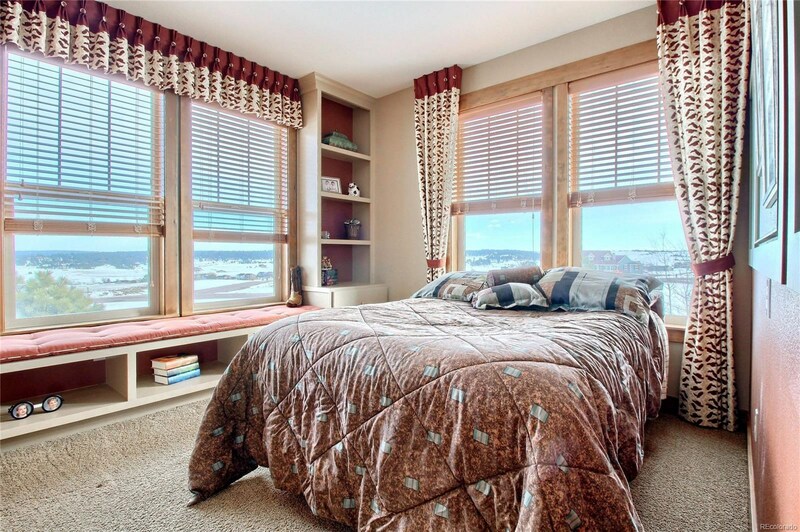 Whole house sound system and custom blinds and window coverings. 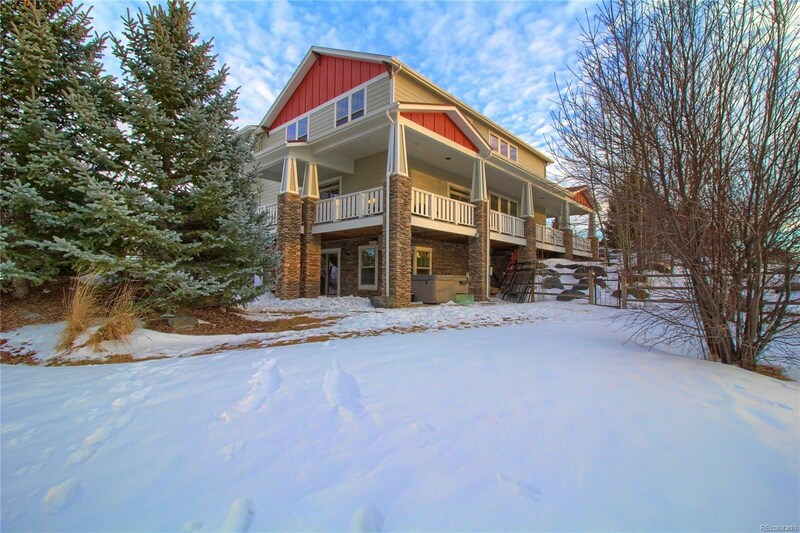 Gorgeous professional landscaping partially fenced lot features over 200 mature trees and bushes, pond, water feature, fire pit, patio, and 3 sided, covered, wrap around deck. 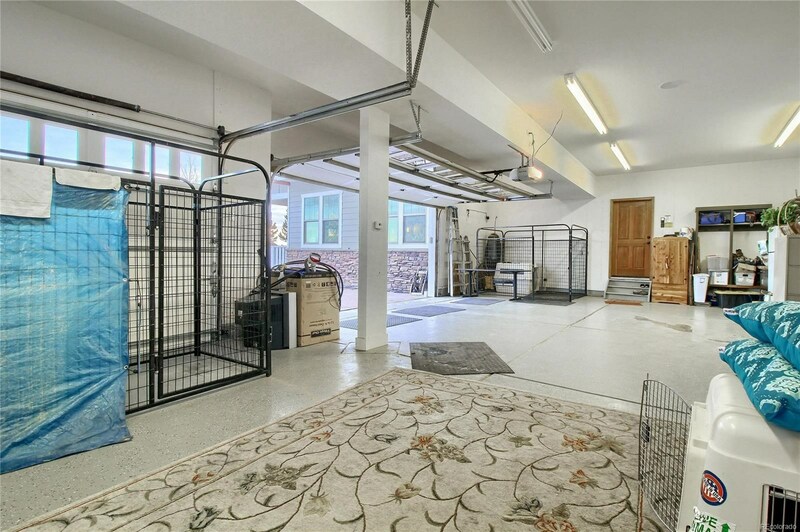 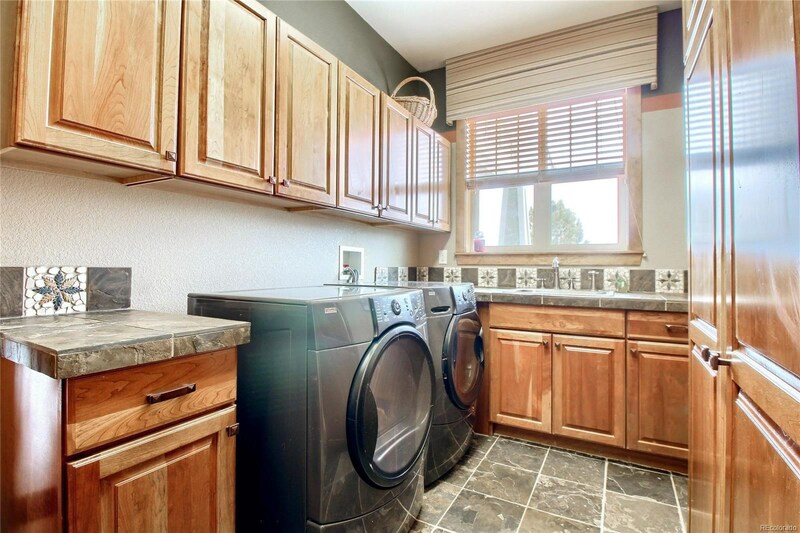 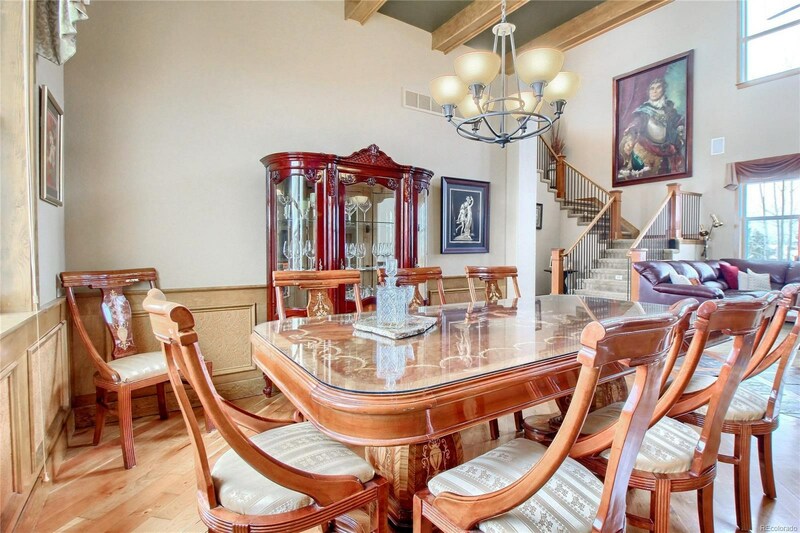 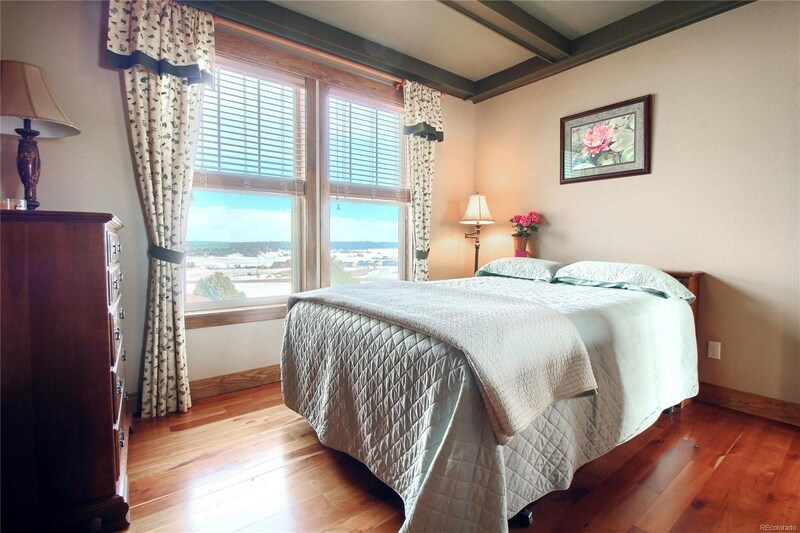 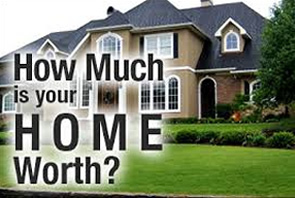 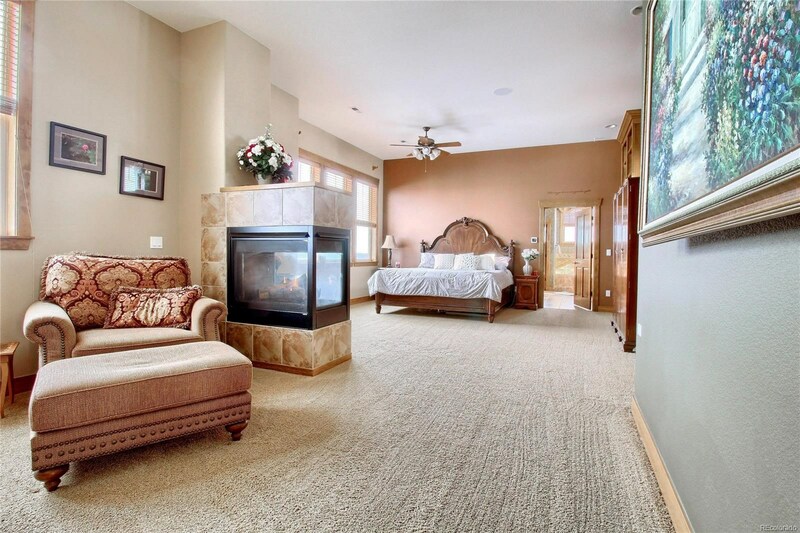 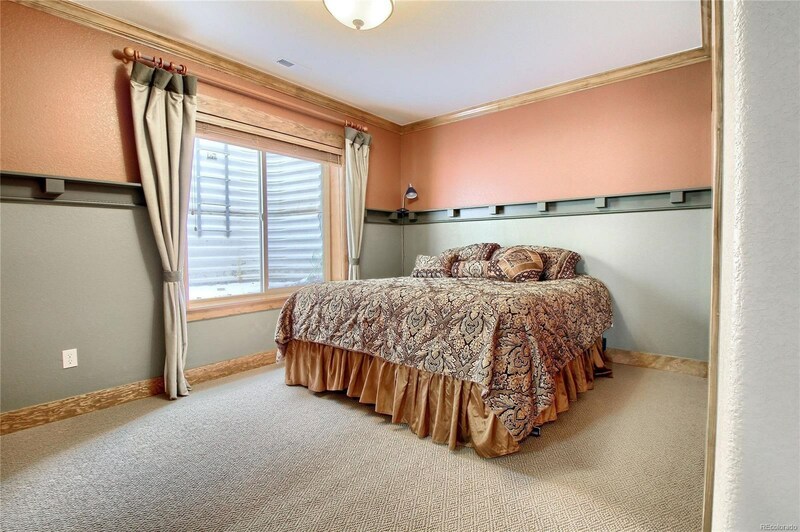 South facing, heated, over-sized 4 car garage with epoxy floor and paved parking. 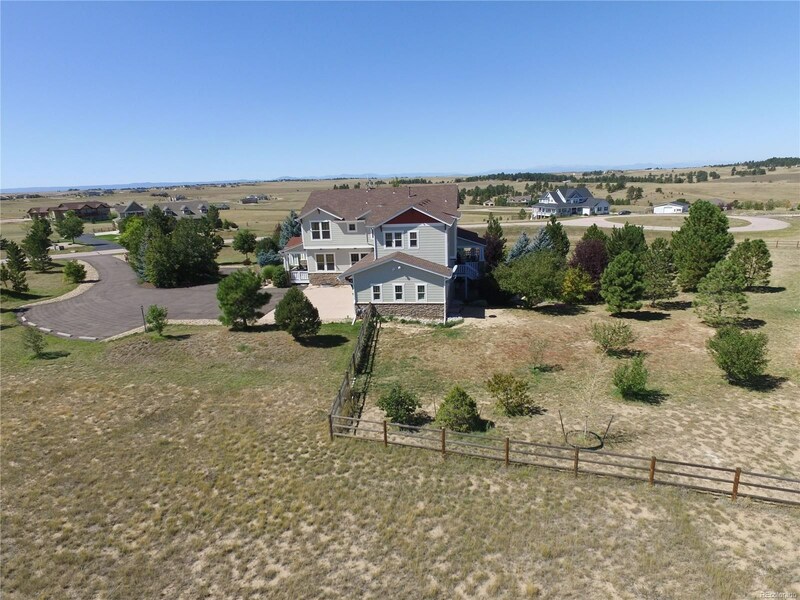 Zoned for Horses!